The high pressure water pump articles provides guidance and review about different types, qualities, durabilities, and prices. In this kind of the pumps, the pressure of the discharge water is raised to perform required functions. They are not used to transfer the fluids. These pumps are mainly used for the cleaning and cutting operations. The water from the pump gains energy when flowing out through the discharge nozzle. The kinetic energy of the water is used to do the required operation such as the cleaning and cutting. The discharge comes out as a jet of the water. The water jet hits hard at the surface like a ton of small and powerful hammer blows. This helps in cleaning the dirt or dust particles. The high-pressure water jet is one of the important industrial cutting tool used in the modern day world. High pressure water pumps are selected based on the factors affecting the performance and application of the pumps. Pressure - The pressure is termed to denote the amount of kinetic energy that can be transferred to the discharge water. The discharge water is pressurized as per the application required. For cleaning applications, the water is pressurized to 3000psi to 5000psi. For cutting applications, they are ultra-high pressurized in the pressure ranges of 30000psi to 50000psi. Flow rate – the amount of water to be pumped in certain time. We must find the flow rate of the pump to pressurize the water to the desired level. It is denoted in units of Volume per unit time and measured as Gallons per minute(GPM). Power supply - We must select a suitable motor with power ratings to pump the high-pressure water. The power rating of the motor depends on the capacity, flow rate, and the pressure range. The power is expressed in terms of Horsepower(HP). The pumps are powered by the electrical, gasoline, pneumatic or hydraulic power source. Tubing and supply lines - The tubing and discharge pipe must withstand the high-pressure water flowing through it. Normal tubing will not withstand in these high-pressure pumps. Special reinforced high-pressure tubing with a wire mesh of three to four layers are used for tubing in the high pressure pumps. The tubing must be rated with more pressure than the discharge pressure of the water to maintain safety. Filter system – Usually, the inlet of the pump is provided with a filter to remove the unwanted dirt and solid molecules. The dirt or debris affect the performance of the pump. They cause damage to the working surface if mixed with the high-pressure water jet at the discharge. High pressure water pump is used in the various applications across multiple domains for the cleaning and cutting purposes as follows. They are used in the industrial; cleaning, offshore cleaning, floor cleaning, and heat exchanger cleaning applications. They are used in cutting materials like wood, concrete cutting, and various other soft materials. Hard materials can be cut by mixing the water with the abrasives. They are used in floor preparation, deburring and concrete renovation processes. They can be used to clean some inaccessible and tough dirt and oil strains in our homes. May cause water flooding so suitable drain system must be adopted. The filth or dirt is splashed by the water causing a messy environment. They cause damage to electrical connections. Before cleaning a suitable insulation must be provided to the electrical connections and supply lines. Some of the leading manufacturers of the high pressure water pumps are CAT pumps, Hameelmann Inc., LEWA Pumps, Danfoss Corp., Comat Pumps and General Pumps. High pressure pumps are priced in the price range of 500$ to 5000$ for the normal operations. For specialized and industrial application they are priced as per the need and size of the pump. Danfoss Corporation is one of the leading manufacturers of high pressure water pumps. They provide pumps for the ultra-pure water applications, reverse osmosis, oil, and gas industrial applications. CAT pumps are one of the leading high-pressure pump manufacturers. And they supply pumps in a wide range of sizes and flow rates. They provide pumps in the pressure range of 100psi to 10000psi and flow rate from 0.5GPM to 200GPM. Their pumps are used in vehicle washing, cooling, misting, pressure washing, desalination, hydro excavation and oil & gas industries. They are the market leaders in reciprocating high-pressure pump service. General pumps provide pumps mainly for the vehicle washing and cleaning services. 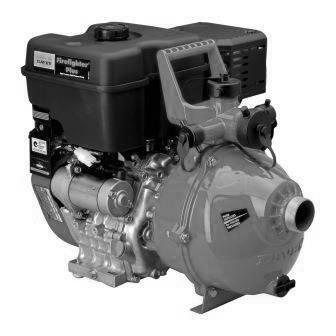 They also provide pumps for sewage jetting, oil and gas mining and misting applications.